Do you ever wonder what does sushi taste like? If you don’t know any better, you’ll assume that it tastes like fish. But given the many variations of sushi, the taste can be more than just fishy. I asked a lot of people around, but all of them have given me different answers. I need to know the concrete answer before I can give sushi a try. So after arduous experiments and research, I have finally found the best answer. A Short Profile About SushiThe Different Varieties Of SushiMaki RollsNigiriChirashiUramakiWhat Does Sushi Taste Like? 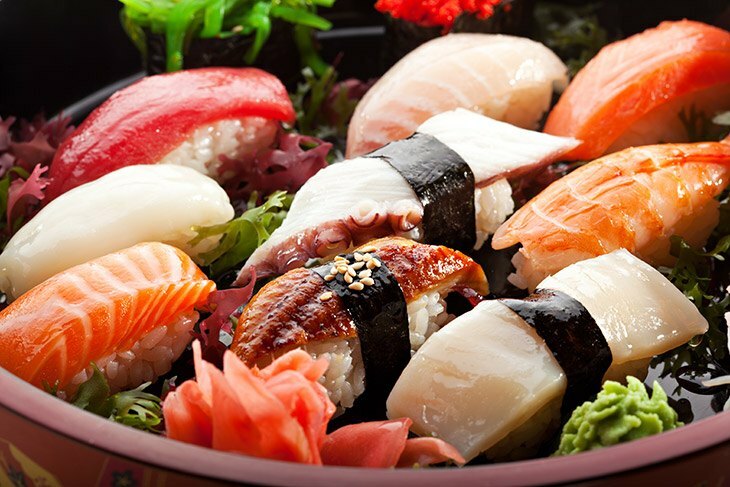 ​Before we determine the taste, let’s get to know more about sushi. If you think that sushi refers to the raw fish that you see in Japanese restaurants, then you’re wrong. That raw fish is called sashimi while sushi is made of several ingredients, such as seafood, vegetables, and rice. More often than not, sushi is served with fully cooked seafood, such as grilled squid, clam, or imitation crab. 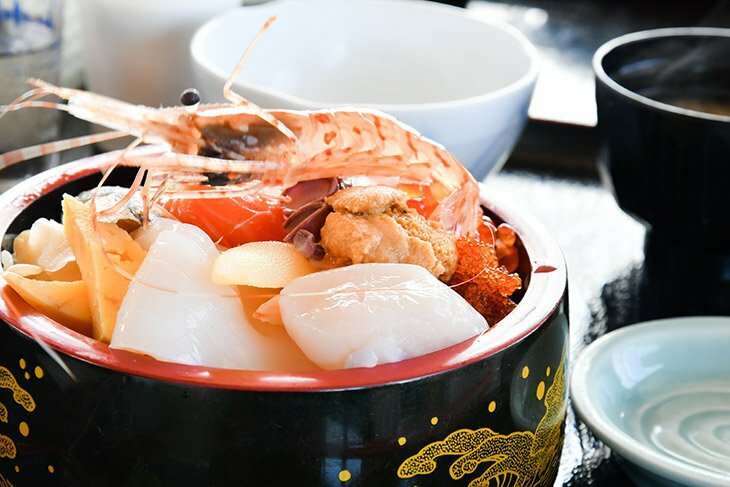 Traditionally, sushi is prepared by preserving fermented fish and rice with salt. 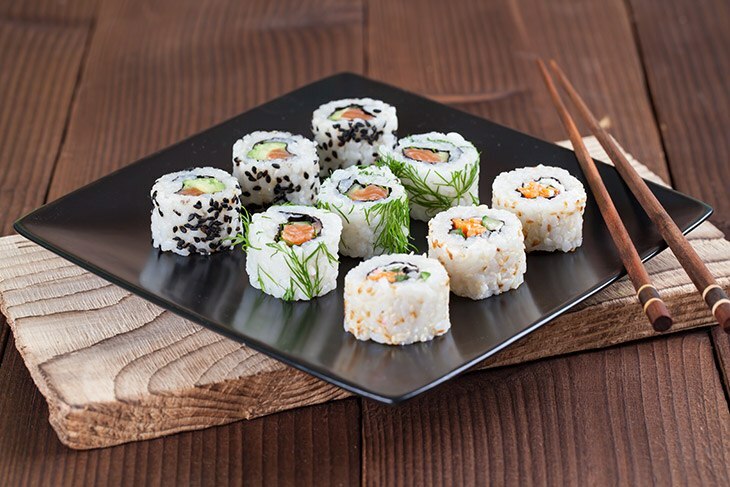 To reflect the origins of sushi, its term means “it’s sour". Maki rolls are what most people assume when thinking about sushi. These cylindrical pieces are made of vinegared rice and other ingredients wrapped in a seaweed sheet or nori. Occasionally, these rolls are also wrapped in soy paper, cucumber, or thin omelet. This oblong pile of vinegared rice is served with a bit of wasabi and a single topping, like a slice of egg omelet, raw fish, or vegetable. Dip the fish in the soy sauce and experience a bolder taste than Maki rolls. If you’re preparing to up your palate to sashimi, nigiri is the best precursor. Nigiri is just sashimi with vinegared rice. While sashimi is always raw, Nigiri can be served with cooked or seared fish. If you’re not in the mood to create sushi rolls, then you can make a bowl of Chirashi or scattered sushi. This type of sushi looks like a burrito but with the ingredients of sushi. In a bowl, top your sushi rice with any ingredient that’s available. You can use eggs, vegetables, fish cakes, and baby corn. Other suitable ingredients are carrots, crab, and green beans. There’s no concrete recipe for Chirashi, so it all depends on your preference. For those who don’t like the texture of seaweed, Uramaki is a great option. Instead of putting the seaweed outside, it’s hidden inside while the rice is put outside. The most popular filling are a slice of carrots, cucumber, and fish. Sometimes, restaurants use avocado in substitution of a fat belly tuna. Avocado has the same texture that melts in your mouth. Several types of Uramaki are California roll and Rainbow. Now, let’s get back the question, shall we? Sushi has no specific taste but a harmony of different flavors. 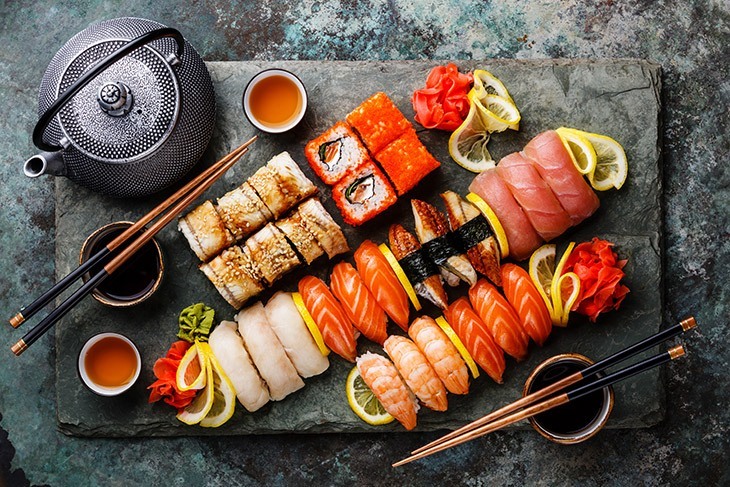 According to the Sushi Club of Houston, sushi is all about the balance of flavor. If one ingredient is overpowering, then it’s not a good sushi. 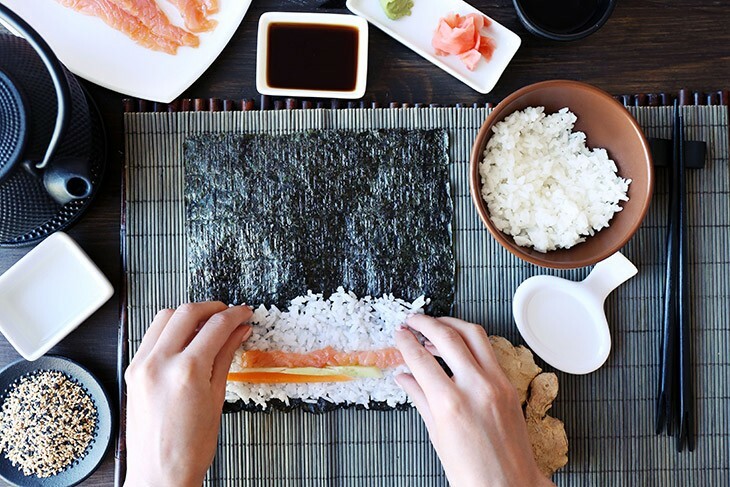 The star ingredient of sushi isn’t fish but the vinegared rice. The sushi rice is seasoned with various ingredients, such as vinegar, sugar, and salt. As a result, you’ll take hints of sourness, sweetness, and saltiness from the rice alone. The wasabi and soy sauce will give the hotness and mild saltiness of sushi. Some sushi, like California rolls, even have tropical fruits to give that sweet flavor. No matter how your sushi is made, you can expect a burst of different flavors in one mouthful. Yes, contrary to popular belief, fish is not the what makes the sushi tasty, but the rice. The flavor and temperature of the rice determine the quality of sushi. To ensure the best quality, use high-quality Japanese rice, such as Shari. The right temperature should be 90-95 degrees, not room temperature nor chilled. To make, simply rinse the rice under running water for 1-2 minutes or until the water becomes clear. Place the rice in the pot and add water. Boil the rice over high heat. Stir occasionally to cook evenly. Once the water boils, lower the heat and cover the pot. At this point, stop stirring and let the rice cook itself. When taking out the rice, use a wooden spoon because it doesn’t damage and react with the vinegar, unlike a metal spoon. Now it’s time to season. For every 3 cups of rice, add 1/2 cup vinegar, 2 teaspoon salt, and 2 tablespoons sugar. Wasabi has a fresh, spicy flavor that highlights the flavor of raw seafood and all types of sushi. Other people also believe that this condiment removes any unpleasant aftertastes. The sharp flavor stimulates the generation of saliva and digestive fluids, hence, help promote appetite as well. 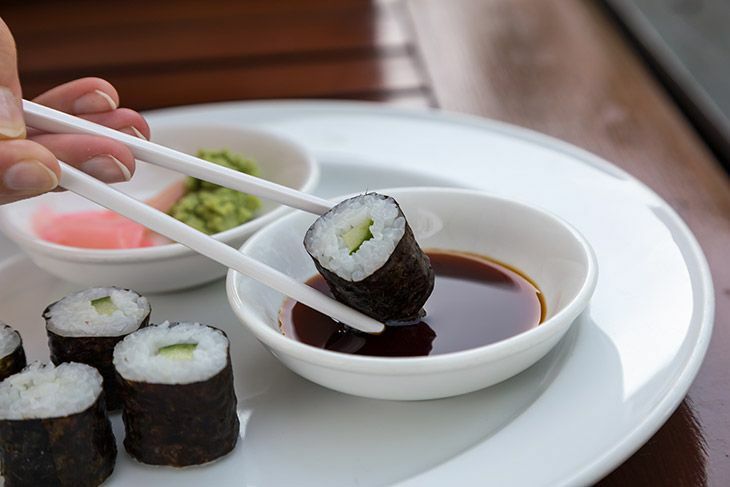 Soy sauce, on the other hand, aims to enhance the flavor of sushi, not overpower them. When dipping your sushi into the soy sauce, wet the fish, not the rice. The rice tends to fall apart plus it absorbs the salty flavor too much. It’s improper to mix wasabi and soy sauce because they destroy each other’s flavor. The right way of putting wasabi on your sushi is to use your chopstick. Next, dip it into the soy sauce. What does sushi taste like? Well, there’s nothing specific because the taste of sushi is quite balanced. You’ll get the sourness from the vinegared rice, the spiciness of wasabi, and the mild saltiness of soy sauce. If your sushi has several toppings, then that will contribute a more complex flavor on your sushi. Have you tasted a sushi already? Let us know your experience in the comments section. 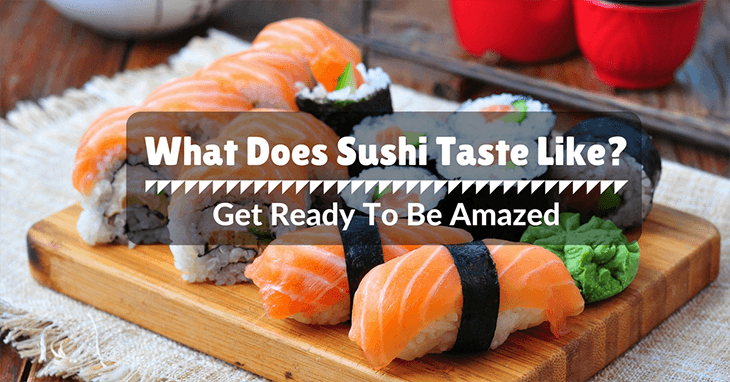 If you like this article, please share it with anyone you know who loves sushi.